For other uses, see National security (disambiguation). "National defense" redirects here. For other uses, see National defense (disambiguation). Originally conceived as protection against military attack, national security is now widely understood to include non-military dimensions, including the security from terrorism, crime, economic security, energy security, environmental security, food security, cyber security etc. Similarly, national security risks include, in addition to the actions of other nation states, action by violent non-state actors, narcotic cartels, and multinational corporations, and also the effects of natural disasters. Governments rely on a range of measures, including political, economic, and military power, as well as diplomacy to enforce national security. They may also act to build the conditions of security regionally and internationally by reducing transnational causes of insecurity, such as climate change, economic inequality, political exclusion, and nuclear proliferation. Potential causes of national insecurity include actions by other states (e.g. military or cyber attack), violent non-state actors (e.g. terrorist attack), organised criminal groups such as narcotic cartels, and also the effects of natural disasters (e.g. flooding, earthquakes). :v, 1–8 Systemic drivers of insecurity, which may be transnational, include climate change, economic inequality and marginalisation, political exclusion, and militarisation. In view of the wide range of risks, the security of a nation state has several dimensions, including economic security, energy security, physical security, environmental security, food security, border security, and cyber security. These dimensions correlate closely with elements of national power. Increasingly, governments organise their security policies into a national security strategy (NSS); as of 2017, Spain, Sweden, the United Kingdom, and the United States are among the states to have done so. Some states also appoint a National Security Council to oversee the strategy and/or a National Security Advisor. Although states differ in their approach, with some beginning to prioritise non-military action to tackle systemic drivers of insecurity, various forms of coercive power predominate, particularly military capabilities. The scope of these capabilities has developed. Traditionally, military capabilities were mainly land- or sea-based, and in smaller countries they still are. Elsewhere, the domains of potential warfare now include the air, space, cyberspace, and psychological operations. Military capabilities designed for these domains may be used for national security, or equally for offensive purposes, for example to conquer and annex territory and resources. In practice, national security is associated primarily with managing physical threats and with the military capabilities used for doing so. That is, national security is often understood as the capacity of a nation to mobilise military forces to guarantee its borders and to deter or successfully defend against physical threats including military aggression and attacks by non-state actors, such as terrorism. Most states, such as South Africa and Sweden, configure their military forces mainly for territorial defence; others, such as France, Russia, the UK and the US, invest in higher-cost expeditionary capabilities, which allow their armed forces to project power and sustain military operations abroad. Barry Buzan, Ole Wæver, Jaap de Wilde and others have argued that national security depends on political security: the stability of the social order. Others, such as Paul Rogers, have added that the equitability of the international order is equally vital. Hence, political security depends on the rule of international law (including the laws of war), the effectiveness of international political institutions, as well as diplomacy and negotiation between nations and other security actors. It also depends on, among other factors, effective political inclusion of disaffected groups and the human security of the citizenry. Economic security, in the context of international relations, is the ability of a nation state to maintain and develop the national economy, without which other dimensions of national security cannot be managed. In larger countries, strategies for economic security expect to access resources and markets in other countries, and to protect their own markets at home. Developing countries may be less secure than economically advanced states due to high rates of unemployment and underpaid work. Ecological security, also known as environmental security, refers to the integrity of ecosystems and the biosphere, particularly in relation to their capacity to sustain a diversity of life-forms (including human life). The security of ecosystems has attracted greater attention as the impact of ecological damage by humans has grown. The degradation of ecosystems, including topsoil erosion, deforestation, biodiversity loss, and climate change, affect economic security and can precipitate mass migration, leading to increased pressure on resources elsewhere. Local environmental or resource pressures. These include resource scarcities leading to local conflict, such as disputes over water scarcity in the Middle East; migration into the United States caused by the failure of agriculture in Mexico;:15 and the impact on the conflict in Syria of erosion of productive land. Environmental insecurity in Rwanda following a rise in population and dwindling availability of farmland, may also have contributed to the genocide there. Environmentally threatening outcomes of warfare. These include acts of war that degrade or destroy ecosystems. Examples are the Roman destruction of agriculture in Carthage; Saddam Hussein's burning of oil wells in the Gulf War;:15–16 the use of Agent Orange by the UK in the Malayan Emergency and the USA in the Vietnam War for defoliating forests; and the high greenhouse gas emissions of military forces. Resources include water, sources of energy, land and minerals. Availability of adequate natural resources is important for a nation to develop its industry and economic power. For example, in the Persian Gulf War of 1991, Iraq captured Kuwait partly in order to secure access to its oil wells, and one reason for the US counter-invasion was the value of the same wells to its own economy. Water resources are subject to disputes between many nations, including India and Pakistan, and in the Middle East. The interrelations between security, energy, natural resources, and their sustainability is increasingly acknowledged in national security strategies and resource security is now included among the UN Sustainable Development Goals. In the US, for example, the military has installed solar photovoltaic microgrids on their bases in case of power outage. Computer security, also known as cybersecurity or IT security, refers to the security of computing devices such as computers and smartphones, as well as computer networks such as private and public networks, and the Internet. It concerns the protection of hardware, software, data, people, and also the procedures by which systems are accessed, and the field has growing importance due to the increasing reliance on computer systems in most societies. Since unauthorized access to critical civil and military infrastructure is now considered a major threat, cyberspace is now recognised as a domain of warfare. Infrastructure security is the security provided to protect infrastructure, especially critical infrastructure, such as airports, highways  rail transport, hospitals, bridges, transport hubs, network communications, media, the electricity grid, dams, power plants, seaports, oil refineries, and water systems. Infrastructure security seeks to limit vulnerability of these structures and systems to sabotage, terrorism, and contamination. Terrorism: person or groups deliberately targeting critical infrastructure for political gain. In the November 2008 Mumbai attacks, the Mumbai central station and hospital were deliberately targeted, for example. Sabotage: person or groups such as ex-employees, anti-government groups, environmental groups. Refer to Bangkok's International Airport Seized by Protestors. Information warfare: private person hacking for private gain or countries initiating attacks to glean information and damage a country's cyber infrastructure. Cyberattacks on Estonia and cyberattacks during the 2008 South Ossetia war are examples. Natural disaster: hurricane or other natural events which damage critical infrastructure such as oil pipelines, water and power grids. See Hurricane Ike and Economic effects of Hurricane Katrina for examples. The high cost of maintaining large military forces places a burden on the economic security of a nation. The share of government expenditure on state armed forces varies internationally; for example, in 2015 it was 4% in Germany, 9% in Chile, 14% in the USA, 15% in Israel, and 19% in Pakistan. Conversely, economic constraints can limit the scale of expenditure on military capabilities. Unilateral security action by states can undermine political security at an international level if it erodes the rule of law and undermines the authority of international institutions. The invasion of Iraq in 2003 and the annexation of Crimea in 2014 have been cited as examples. The pursuit of economic security in competition with other nation states can undermine the ecological security of all when the impact includes widespread topsoil erosion, biodiversity loss, and climate change. Conversely, expenditure on mitigating or adapting to ecological change places a burden on the national economy. If tensions such as these are not managed effectively, national security policies and actions may be ineffective or counterproductive. "Wider security measures must also now encompass protection against epidemics and infectious diseases, combating terrorism and organised crime, ensuring safe transport and reliable food supplies, protecting against energy supply interruptions, countering devastating climate change, initiatives for peace and global development, and much more." The extent to which this matters, and how it should be done, is the subject of debate. Some argue that the principal beneficiary of national security policy should be the nation state itself, which should centre its strategy on protective and coercive capabilities in order to safeguard itself in a hostile environment (and potentially to project that power into its environment, and dominate it to the point of strategic supremacy). Others argue that security depends principally on building the conditions in which equitable relationships between nations can develop, partly by reducing antagonism between actors, ensuring that fundamental needs can be met, and also that differences of interest can be negotiated effectively. In the UK, for example, Malcolm Chalmers argued in 2015 that the heart of the UK's approach should be support for the Western strategic military alliance led through NATO by the United States, as "the key anchor around which international order is maintained". The Ammerdown Group argued in 2016 that the UK should shift its primary focus to building international cooperation to tackle the systemic drivers of insecurity, including climate change, economic inequality, militarisation and the political exclusion of the world's poorest people. Approaches to national security can have a complex impact on human rights and civil liberties. For example, the rights and liberties of citizens are affected by the use of military personnel and militarised police forces to control public behaviour; the use of surveillance, including mass surveillance in cyberspace, which has implications for privacy; military recruitment and conscription practices; and the effects of warfare on civilians and civil infrastructure. This has led to a dialectical struggle, particularly in liberal democracies, between government authority and the rights and freedoms of the general public. The National Security Agency harvests personal data across the internet. Even where the exercise of national security is subject to good governance and the rule of law, a risk remains that the term national security may be become a pretext for suppressing unfavorable political and social views. In the US, for example, the controversial USA Patriot Act of 2001, and the revelation by Edward Snowden in 2013 that the National Security Agency harvests the personal data of the general public, brought these issues to wide public attention. Among the questions raised are whether and how national security considerations at times of war should lead to the suppression of individual rights and freedoms, and whether such restrictions are necessary when a state is not at war. National Security ideology as taught by the US Army School of the Americas to military personnel were vital in causing the military coup of 1964. The military dictatorship was installed on the claim by military that Leftists were an existential threat to the national interests. While not defining the "interests" of national security, the Act does establish, within the National Security Council, the "Committee on Foreign Intelligence", whose duty is to conduct an annual review "identifying the intelligence required to address the national security interests of the United States as specified by the President" (emphasis added). The national valuables in this broad sense include current assets and national interests, as well as the sources of strength upon which our future as a nation depends. Some valuables are tangible and earthy; others are spiritual or intellectual. They range widely from political assets such as the Bill of Rights, our political institutions and international friendships, to many economic assets which radiate worldwide from a highly productive domestic economy supported by rich natural resources. It is the urgent need to protect valuables such as these which legitimizes and makes essential the role of national security. A collective term encompassing both national defense and foreign relations of the United States. Specifically, the condition provided by: a. a military or defense advantage over any foreign nation or group of nations; b. a favorable foreign relations position; or c. a defense posture capable of successfully resisting hostile or destructive action from within or without, overt or covert. Security: The security of the United States, its citizens, and U.S. allies and partners. Prosperity: A strong, innovative, and growing U.S. economy in an open international economic system that promotes opportunity and prosperity. Values: Respect for universal values at home and around the world. International Order: An international order advanced by U.S. leadership that promotes peace, security, and opportunity through stronger cooperation to meet global challenges. Each of these interests is inextricably linked to the others: no single interest can be pursued in isolation, but at the same time, positive action in one area will help advance all four. U.S. Secretary of State Hillary Clinton has said that, "The countries that threaten regional and global peace are the very places where women and girls are deprived of dignity and opportunity". She has noted that countries where women are oppressed are places where the "rule of law and democracy are struggling to take root", and that, when women's rights as equals in society are upheld, the society as a whole changes and improves, which in turn enhances stability in that society, which in turn contributes to global society. In the United States, the Bush Administration in January 2008, initiated the Comprehensive National Cybersecurity Initiative (CNCI). It introduced a differentiated approach, such as: identifying existing and emerging cybersecurity threats, finding and plugging existing cyber vulnerabilities, and apprehending actors that trying to gain access to secure federal information systems. President Obama issued a declaration that the "cyber threat is one of the most serious economic and national security challenges we face as a nation" and that "America's economic prosperity in the 21st century will depend on cybersecurity." During and after World War II, US leaders expanded the concept of national security and used its terminology for the first time to explain America’s relationship to the world. For most of US history, the physical security of the continental United States had not been in jeopardy. But by 1945, this invulnerability was rapidly diminishing with the advent of long-range bombers, atom bombs, and ballistic missiles. A general perception grew that the future would not allow time to mobilize, that preparation would have to become constant. For the first time, American leaders would have to deal with the essential paradox of national security faced by the Roman Empire and subsequent great powers: Si vis pacem, para bellum — If you want peace, prepare for war. China's Armed Forces are known as the People's Liberation Army (PLA). The military is largest in the world with 2.3 million active troops in 2005. Muslim separatists in Xinjiang Uygur Autonomous Region are China's most significant domestic threat. State of the national security of Republic of India is determined by its internal stability and geopolitical interests. India maintains its position as one of major economic and military powers and continues to emerge to strengthen its stature and diplomatic clout. While Islamic upsurge in Indian State of Jammu and Kashmir demanding secession and far left wing terrorism in India's red corridor remain some key issues in India's internal security, terrorism from Pakistan based militant groups has been emerging as a major concern for New Delhi. National Security Advisor of India heads National Security Council of India, receives all kinds of intelligence reports and is chief advisor to the Prime Minister of India over national and international security policy. National Security Council has India's defence, foreign, home, finance ministers and deputy chairman of NITI Aayog as its members and is responsible for shaping strategies for India's security in all aspects. In the years 1997 and 2000, Russia adopted documents titled "National Security Concept" that described Russia's global position, the country's interests, listed threats to national security and described the means to counter those threats. In 2009, these documents were superseded by the "National Security Strategy to 2020". The key body responsible for coordination of policies related to Russia's national security is the Security Council of Russia. According to provision 6 of the National Security Strategy to 2020, national security is "the situation in which the individual, the society and the state enjoy protection from foreign and domestic threats to the degree that ensures constitutional rights and freedoms, decent quality of life for citizens, as well as sovereignty, territorial integrity and stable development of the Russian Federation, the defense and security of the state." The primary body responsible for coordinating national security policy in the UK is the National Security Council (United Kingdom) which helps produce and enact the UK's National Security Strategy. It was created in May 2010 by the new coalition government of the Conservative Party (UK) and Liberal Democrats. The National Security Council is a committee of the Cabinet of the United Kingdom and was created as part of a wider reform of the national security apparatus. This reform also included the creation of a National Security Adviser and a National Security Secretariat to support the National Security Council. Conceptualizing and understanding the National Security choices and challenges of African States is a difficult task. This is due to the fact that it is often not rooted in the understanding of their (mostly disrupted) state formation and their often imported process of state building. Although Post-Cold War conceptualizations of Security have broadened, the policies and practices of many African states still privilege national security as being synonymous with state security and even more narrowly- regime security. The problem with the above is that a number of African states (be specific) have been unable to govern their security in meaningful ways. Often failing to be able to claim the monopoly of force in their territories. The hybridity of security ‘governance’ or ‘providers’ thus exists. States that have not been able to capture this reality in official National Security strategies and policies often find their claim over having the monopoly of force and thus being the Sovereign challenged. This often leads to the weakening of the state. Examples of such states are South Sudan and Somalia. ^ a b c d e f g h i j k Romm, Joseph J. (1993). Defining national security: the nonmilitary aspects. Pew Project on America's Task in a Changed World (Pew Project Series). Council on Foreign Relations. p. 122. ISBN 978-0-87609-135-7. Retrieved 22 September 2010. ^ a b c Paleri, Prabhakaran (2008). National Security: Imperatives And Challenges. New Delhi: Tata McGraw-Hill. p. 521. ISBN 978-0-07-065686-4. Retrieved 23 September 2010. ^ Quoted in Paleri (2008) ibid. Pg 52. ^ Brown, Harold (1983) Thinking about national security: defense and foreign policy in a dangerous world. As quoted in Watson, Cynthia Ann (2008). U.S. national security: a reference handbook. Contemporary world issues (2 (revised) ed.). ABC-CLIO. p. 281. ISBN 978-1-59884-041-4. Retrieved 24 September 2010. ^ Definition from "Proceedings of Seminar on "A Maritime Strategy for India" (1996). National Defence College, Tees January Marg, New Delhi, India. quoted in Paleri 2008 (ibid). ^ a b c d e f g Ammerdown Group (2016). "Rethinking Security: A discussion paper" (PDF). rethinkingsecurity.org.uk. Retrieved 2017-12-17. ^ a b c d e Rogers, P (2010). Losing control : global security in the twenty-first century (3rd ed.). London: Pluto Press. ISBN 9780745329376. OCLC 658007519. ^ a b c d Spanish Government (2013). "The National Security Strategy: Sharing a common project" (PDF). Retrieved 2017-12-17. ^ a b c d e Sweden, Prime Minister's Office (2017). "National Security Strategy" (PDF). Retrieved 2017-12-18. ^ a b c UK, Cabinet Office (2015). "National Security Strategy and Strategic Defence and Security Review 2015". Retrieved 2017-12-17. ^ a b c d e US, White House (2015). "National Security Strategy" (PDF). Retrieved 2017-12-17. ^ a b "War in the fifth domain". The Economist. Retrieved 2017-12-18. ^ South Africa, Department of Defence (2015). "South African Defence Review, 2015" (PDF). Retrieved 2017-12-18. ^ France (2017). "Strategic Review of Defence and National Security" (PDF). Retrieved 2017-12-18. ^ Olika, O (2016). "Unpacking Russia's New National Security Strategy". www.csis.org. Retrieved 2017-12-18. ^ a b Security: a new framework for analysis. Lynne Rienner Publishers. 1998. p. 239. ISBN 978-1-55587-784-2. ^ United Nations. "UN Trust Fund for Human Security". www.un.org. Retrieved 2017-12-17. ^ United Nations General Assembly (2010). "Resolution adopted by the General Assembly on 20 December 2010". www.un.org. Retrieved 2017-12-17. ^ Gleick, Peter H. (2014-03-03). "Water, Drought, Climate Change, and Conflict in Syria". Weather, Climate, and Society. 6 (3): 331–340. doi:10.1175/wcas-d-13-00059.1. ISSN 1948-8327. ^ Diamond, Jared. "Malthus in Africa: Rwanda's Genocide". Retrieved 26 September 2010. ^ US, Department of Defense (2013). "Fiscal year 2012: Operational energy annual report" (PDF). Archived from the original (PDF) on 2014-09-19. Retrieved 2017-12-18. ^ a b UK, Cabinet Office (2008). "The national security strategy of the United Kingdom: security in an interdependent world". Retrieved 2017-12-18. ^ Farah, Paolo Davide (2015). "Sustainable Energy Investments and National Security: Arbitration and Negotiation Issues". Journal of World Energy Law and Business. 8 (6). ^ World Bank (2017). "Military expenditure (% of central government expenditure, 2015)". data.worldbank.org. Retrieved 2017-12-18. ^ Section, United Nations News Service (2014-03-27). "UN News - Backing Ukraine's territorial integrity, UN Assembly declares Crimea referendum invalid". UN News Service Section. Retrieved 2017-12-18. ^ Jackson, T (2009). Prosperity without growth: economics for a finite planet. London: Earthscan. ISBN 9781849713238. OCLC 320800523. 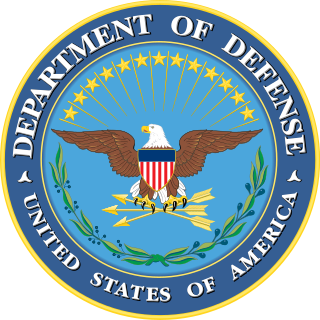 ^ US, Department of Defense (2000). "Joint Vision 2020 Emphasizes Full-spectrum Dominance". archive.defense.gov. Retrieved 2017-12-17. ^ House of Commons Defence Committee (2015). "Re-thinking defence to meet new threats". publications.parliament.uk. Retrieved 2017-12-17. ^ General Sir Nicholas Houghton (2015). "Building a British military fit for future challenges rather than past conflicts". www.gov.uk. Retrieved 2017-12-17. ^ FCNL (2015). "Peace Through Shared Security". Retrieved 2017-12-17. ^ Chalmers, M (2015-05-05). "A Force for Order: Strategic Underpinnings of the Next NSS and SDSR". RUSI. Retrieved 2017-12-18. ^ Davis, Robert T. (2010). Robert T. Davis (ed.). U.S. Foreign Policy and National Security: Chronology and Index for the 20th Century. Praeger Security International Series (Illustrated ed.). ABC-CLIO. pp. xiii–xiv. ISBN 978-0-313-38385-4. Retrieved 25 September 2010. ^ Taylor, Gen Maxwell (1974). "The Legitimate Claims of National Security". Foreign Affairs. Council on Foreign Relations, Inc. 52 (Essay of 1974): 577. doi:10.2307/20038070. JSTOR 20038070. Retrieved 25 September 2010. ^ US NATO Military Terminology Group (2010). JP 1 (02) "Dictionary of Military and Associated Terms", 2001 (As amended through 31 July 2010) (PDF). Pentagon, Washington: Joint Chiefs of Staff, US Department of Defense. p. 361. Retrieved 19 September 2010. ^ Obama, Barack. National Security Strategy, May 2010 Archived 2011-04-22 at the Wayback Machine. Office of the President of the United States, White House, p. 17. Accessed 23 September 2010. ^ a b c Lemmon, Gayle Tzemach (2013). "The Hillary Doctrine: Women's Rights Are a National Security Issue". the Atlantic. ^ Rollins, John, and Anna C. Henning. Comprehensive National Cybersecurity Initiative Legal Authorities and Policy Considerations. Washington, D.C.: Congressional Research Service, 2009. ^ "White House: Cybersecurity". Archived from the original on 2013-05-29. ^ Yergin, Daniel. Shattered Peace: The Origins of the Cold War and the National Security State. Boston: Houghton Mifflin, 1977. ^ Ripsman, Norrin M., and T. V. Paul. Globalization and the National Security State. Oxford: Oxford University Press, 2010. ^ Dr Joe Devanny & Josh Harris. "The National Security Council: national security at the centre of government". Institute for Government & King's College London. Retrieved 6 November 2014. ^ a b Luckham, R., & Kirk, T. (2012). Security in hybrid political contexts: An end-user approach. Bhadauria, Sanjeev. National Security. Allahabad: Dept. of Defence and Strategic Studies, University of Allahabad, 2002. Brzezinski, Zbigniew. Power and Principle: Memoirs of the National Security Adviser, 1977–1981. New York: Farrar, Straus, Giroux, 1983. Chen, Hsinchun. National Security. Amsterdam: Elsevier, 2007. Cordesman, Anthony H. Saudi Arabia National Security in a Troubled Region. Santa Barbara, Calif: Praeger Security International, 2009. Devanny, Joe, and Josh Harris, The National Security Council: national security at the centre of government. London: Institute for Government/King's College London, 2014. Farah, Paolo Davide; Rossi, Piercarlo (2015). "Energy: Policy, Legal and Social-Economic Issues Under the Dimensions of Sustainability and Security". World Scientific Reference on Globalisation in Eurasia and the Pacific Rim. SSRN 2695701. Jordan, Amos A., William J. Taylor, Michael J. Mazarr, and Suzanne C. Nielsen. American National Security. Baltimore, Md: Johns Hopkins University Press, 1999. Mueller, Karl P. Striking First: Preemptive and Preventive Attack in U.S. National Security Policy. Santa Monica, CA: RAND Project Air Force, 2006. National Research Council (U.S.). Beyond "Fortress America": National Security Controls on Science and Technology in a Globalized World. Washington, D.C.: National Academies Press, 2009. Rothkopf, David J. Running the World: The Inside Story of the National Security Council and the Architects of American Power. New York: PublicAffairs, 2005. Ripsman, Norrin M., and T. V. Paul. Globalization and the National Security State. Oxford: Oxford University Press, 2010. Tal, Israel. National Security: The Israeli Experience. Westport, Conn: Praeger, 2000. Scherer, Lauri S. National Security. Detroit: Greenhaven Press, 2010. Security is freedom from, or resilience against, potential harm caused by others. Beneficiaries of security may be of persons and social groups, objects and institutions, ecosystems or any other entity or phenomenon vulnerable to unwanted change by its environment. The Bush Doctrine refers to various related foreign policy principles of the 43rd President of the United States, George W. Bush. These principles include unilateralism and the use of preventative war. Provide leadership and affect policy on crucial issues of national security and foreign policy; to promote American security cooperation with like-minded allies including, but not limited to, Israel; to engage the American defense community about the role Israel can and does play in securing Western, democratic interests in the Middle East and Mediterranean regions; and to improve awareness in the general public, as well as in the Jewish community of the importance of a strong American defense capability. The United States Under Secretary of Defense for Policy (USDP) is a high level civilian official in the United States Department of Defense. The Under Secretary of Defense for Policy is the principal staff assistant and adviser to both the Secretary of Defense and the Deputy Secretary of Defense for all matters concerning the formation of national security and defense policy. Wolfowitz Doctrine is an unofficial name given to the initial version of the Defense Planning Guidance for the 1994–99 fiscal years published by US Under Secretary of Defense for Policy Paul Wolfowitz and his deputy Scooter Libby. Not intended for public release, it was leaked to the New York Times on March 7, 1992, and sparked a public controversy about U.S. foreign and defense policy. The document was widely criticized as imperialist as the document outlined a policy of unilateralism and pre-emptive military action to suppress potential threats from other nations and prevent any other nation from rising to superpower status. The EastWest Institute (EWI), originally known as the Institute for East-West Security Studies, is an international not-for-profit, non-partisan "think and do" tank focusing on international conflict resolution through a variety of means, including track 2 diplomacy and track 1.5 diplomacy, hosting international conferences, and authoring publications on international security issues. The organization employs networks in political, military, and business establishments in the United States, Europe, and the former Soviet Union. Gabriel "Gabi" Siboni is a colonel in the Israel Defense Forces Reserve service, and a senior research fellow and the director of the Military and Strategic Affairs and Cyber Warfare programs at the Institute for National Security Studies. Additionally, he serves as editor of the tri-yearly published, Military and Strategic Affairs academic journal at INSS. Siboni is a senior expert on national security, military strategy and operations, military technology, cyber warfare, and force buildup.